"Raw is all you need: Adobe Camera Raw Plug-in"
Nearly all high quality digital cameras (especially the high end digital SLRs) support a so called Raw file format (see our article here). 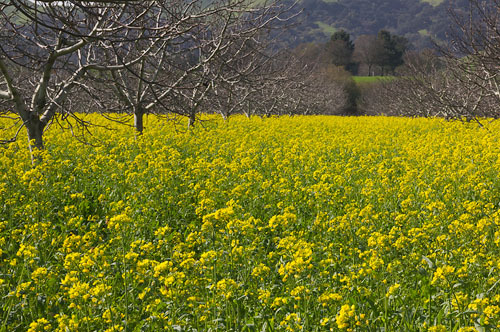 There is no doubt, that only Raw files deliver the maximal possible quality a camera can deliver. Unfortunately all these Raw file formats are different and non standard (that will hopefully change over time). If you want to view your Raw file in Photoshop you either need to use a proprietary manufacturer Raw converter, a third party tool or in some cases a special manufacturer plug-in. What is the problem? Although these Raw converters do all the same thing (see our article on Raw Converter Essentials) they all behave very differently. Also some manufacturers of digital cameras want to provide colors of their choice instead of the most possible correct colors by profiling their cameras. Note: We are aware that there are variations between individual camera color spaces. These differences are not as big as some might believe. That means generic camera profiles can be very useful. Adobe's Camera Raw plugin changes this situation quite a bit. 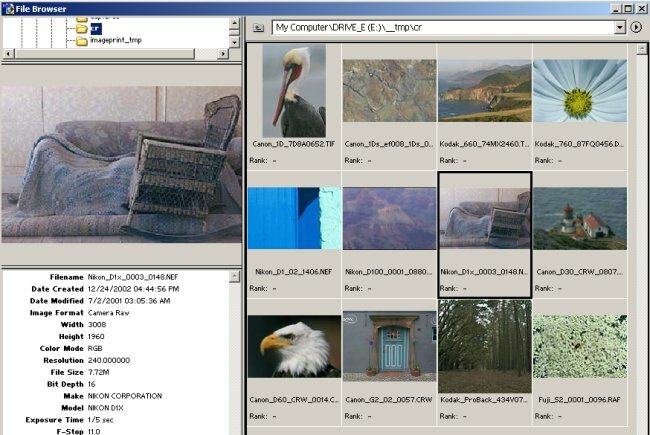 Now most of the Raw file formats can be opened using a common user interface. 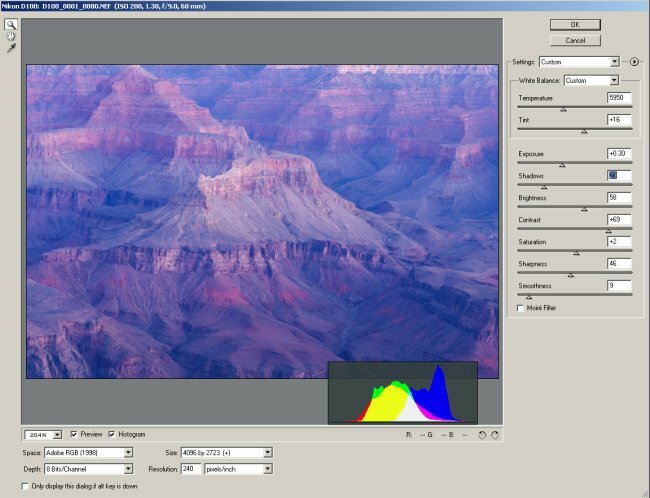 Camera Raw provides the generic profiling for each supported camera. It is kind of needless to say that of course everything in Camera Raw (CR) is fully color managed (monitor profiles are the same as used by Photoshop and for all supported cameras Camera Raw uses built in generic camera profiles). 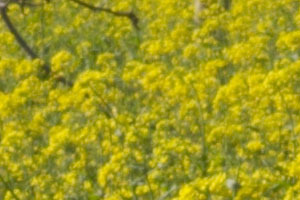 For all color work it is very important that you can trust the color management implementation of your Raw converter. There are not many raw converters on the market that we really trust to implement proper color management. On the other hand Photoshop's color management implementation is trusted by the whole graphics industry. This review is based on our practical experience over the last few months using Camera Raw on a daily basis. We like the feeling that the Photoshop File Browsers shows now all of our raw files, can preview them (the previews are a bit small due to some limitations of the Photoshop 7 file browser), displays EXIF camera information and open any of these different Raw files into Photoshop. The user interface of Camera Raw is clean and easy to use. The window can be resized up to full screen. The only downside of this feature is that some operations might be less real-time than using a smaller window (this depends of course on the performance the machine used). The preview image is really big enough to judge the color and other details. If you need to view finer details (e.g. for sharpening) the preview can be viewed at 100% pixels and beyond. 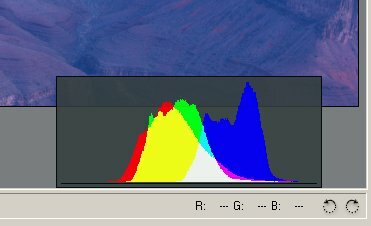 The histogram shows a RGB histogram and also histograms of the three color channels. The histogram can enabled/disabled and freely positioned inside the preview pane. CR supports all the usual zooming and file moving that you are used to in Photoshop. We most of the time have the preview set to "Fit in View" as we do detail inspections later in Photoshop itself (but that is our personal workflow style). We will explain the eyedropper later when we cover WB (White Balance). The Eyedropper can also be used for RGB readouts. These RGB values are displayed on the right side below the preview window. There are two controls to rotate the image clock or counter-clockwise. Due to some limitations of the File Browser in Photoshop 7.0 rotations done in Camera Raw will not show in the File Browser. The opposite is works: Rotate in the File Browser and Camera Raw will show it correctly rotated. That means it is better to rotate in the File Browser before opening the photo in Camera Raw. The preview checkbox toggles between the current settings and the default settings for the camera. So you can change the "before" state while the dialog it open by setting the camera defaults. CR offers four different working spaces. We use Adobe RGB (1998). You can open Raw files with CR in 8 and 16 bit mode. We most of the time use CR in 8 bit mode. This seems to be strange as we are among the 16 bit advocates. 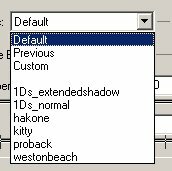 But all the very strong data changes like WB and EV are performed in CR (as 16 bit) and we then continue in Photoshop in layers anyway. Layers require 8 bit for Photoshop 7. For most Raw file formats CR allows to up/downsize the image. The algorithm used is much improved over the standard Photoshop "bicubic". 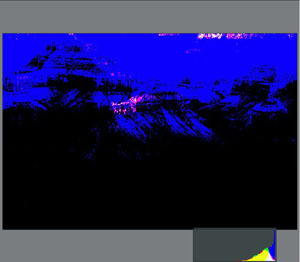 "(-)" indicates a downsampling from the native camera format and "(+)" an upsampling. This defines the DPI that the opened file gets tagged with. We use 240DPI. For some operations like web galleries and contact sheets you do not want that the CR dialog gets opened for each individual image. Most of these options discussed so far will be not changed that often. The main tasks you do in any Raw converter are correcting your White Balance (WB) and Exposure (EV). The white balance in CR is controlled by two sliders: Temperature and Tint. "To get a color to appear white, you need to get three parameters correct. This is a basic feature of human version, stemming from the three types of color sensors in the eye. There are several common ways of factoring these three parameters. Probably the most familiar is red-green-blue values, where white is when they are all equal to some maximum value. Another common factoring is luminance-temperature-tint, which is what the Camera Raw plug-in is using. Luminance is basically how bright the light is. This is what photographers fiddle with all the time by adjusting shutter speed and f-stop. The Camera Raw plug-in allows you to fine-tune this using the "Exposure" slider. The remaining two parameters describe the "color" of the light. If you take a black object and start heating it up,first it starts to glow red, then orange, then yellow,then "white," and then a blue-white. The exact color of this light is dependent only on the temperature of the object, and is called "black body radiation". It is usually measured in degrees Kelvin. Unfortunately, humans usually describe lower Kelvin numbers as being"warmer," and higher numbers is being "colder," which is opposite what science would suggest. But real world light is rarely pure black body radiation. A tungsten light comes very close to being a pure black body, but other light sources usually have a color that is offset from the black body curve. On one side of black body curve, the light is greener; on the other side, the light is more magenta. Fluorescent lights are often very green. The standardized average daylight values (D55, D65, D75) are all slightly greener than black body. Flashes are sometimes more magenta than black body. The Camera Raw plug-in has two sliders to adjust for the color of the light. The first is "Temperature," which is a closest point on the black body curve to the light's actual color. The second is "Tint," which is the offset distance perpendicular to the black body curve. Positive values means the light is greener than black body; negative means the light is more magenta than black body." We have used nearly all other Raw converters out there and practically found that just a color temperature slider does not cut it. We must say that the WB control in Camera Raw is the best we ever have seen. Of course Camera Raw also allows a one-click WB. Click with the eyedropper on a gray or white (no overexposed white please) area and CR sets the correct temperature and tint values. We try to photograph a gray card under the same light as the other images, correct the gray card image and then apply the WB settings to all the other photos with the same light. Please read our article about "Subjective WB" to understand that often the "right" WB needs some subjective corrections. Unfortunately there is no tool support to only apply the WB to other photos in this version of CR. But you can remember the two numbers for temperature/tint and apply them for other images. The exposure slider allows you to control the right settings for your highlights. CR has a very powerful unique feature to view possible blown highlights. While you drag the exposure slider use the "Alt" key and you get a threshold view. The shadows slider lets you control the shadows and again the "Alt" key allows you to see a threshold view. The preview and histogram are both updated in realtime. CR also allows you to control the brightness and contrast. We perform the final correction to Photoshop and leave these two sliders at their default values. Also the control for saturation works quite nicely. 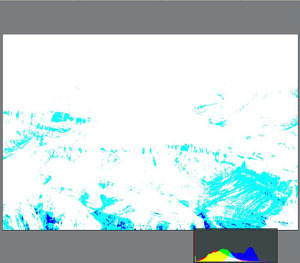 We like to tune later the saturation in Photoshop for selected regions and selected colors. 3. Leave all sharpening to Photoshop. We currently tend to use method 3 as we have very good sharpening tools later in PS and want to have sharpening as the final step. The smoothness control can be used to remove some noise (especially for higher ISO images). CR tries to keep the sharpness on all edges but as any noise filter the images gets a bit degraded. Our strategy is to use as much as possible low ISO with our (Nikon D1x and Canon 1Ds). 3. Leave all noise removal to Photoshop. Again we tend to use method 3 or in general do hardly any noise removal at all. Can remove some minor to medium moire for cameras like the Fuji S2. Is "off" for most of our images. Often you want to use the same settings for a set of photos. There are two ways in Camera Raw to save the settings and apply them later to other images. 1. Save and load settings (all settings are saved and can be restored). other entries: List of user saved settings that are located in the folder "Presets/Camera Raw"
2. Use "Set Camera Default" in this case the settings are used for the same camera type as the default if you later open a new image from the same camera (type). This allows you to have defaults e.g. for the Canon 1Ds and also the Nikon D1x at the same time. 3. "Reset Camera Default" can be used to get back to the Camera Raw factory (Adobe) default settings. We most of the time use a mixture of methods 1 and 2. Later you might ask how the settings had been when had converted converted a certain Raw file. No problem! CR records all the settings used by CR in the EXIF information of the created file. You can later use the Photoshop File Browser to read the settings you used and apply them in Camera Raw to the original raw file. CR allows you to enter all these values as a simple number. E.G. the White Balance consists only of two simple values: Temperature and Tint. You can also perform batch conversions. This is done by creating Photoshop actions and using these actions in batch mode (see Camera Raw manual). This opens the possibility to have different actions for different purposes. A main reason to use batch conversion would be to create some preview JPG images from newly captured photos. Adobe Camera Raw can be ordered at $99 online from the Adobe store. As far as we know there is no trial version of this software. Camera Raw comes with a JPEG2000 file format plugin. Our raw converter profile lists which operations a raw converter performs and how well it does it's job. We think that some operations are better left for Photoshop and that some raw converters end up being overblown mini Photoshop applications. Saving and recalling settings or setting groups (like WB, Sharpening, ...) yes (saving of all settings and as camera default), no separate WB saving and loading. The Adobe Camera Raw plug-in can be considered a milestone for all photographers using Raw files today. But it should also encourage all out there that still think JPGs are easier to handle. We also like that the colors (we find them very natural) are just based on objective (though of course generic) profiling of the different camera types. The profiling was done by the people who implemented color management for Photoshop and can be surely trusted. Camera Raw is also equally available for the Mac and PC like Photoshop itself. What could be improved? We could think of a more sophisticated noise removal but that also would add some more complexity to the plugin. The integration with the File Browser could go beyond the limitations of the current Photoshop 7 implementation although we like what we get without changing the current version of Photoshop 7. We leave the comparison of how well Camera Raw handles fine details to other more analytical reviewers out there. For us good color comes first and here Camera Raw clearly delivers. We also cannot complain about missing details either. In an upcoming article we will compare Camera Raw with our other favorite Raw converter "Capture One DSLR". Needless to say, every Raw user should get his copy of Camera Raw. For the rest it is a good reason to give Raw files a try. Even if Raw files are still non standard, Camera Raw provides a great unique interface for nearly all Raw file types on the market as of this writing. We expect that the customers will soon request from the camera manufacturers to support Adobe's Camera Raw plugin as it has the potential to become the industry standard Raw converter. Camera Raw might also one of the best reasons for some photographers to finally upgrade to Photoshop 7. Please have a look at our latest e-booklet that features our new workflow using Adobe's Camera Raw.